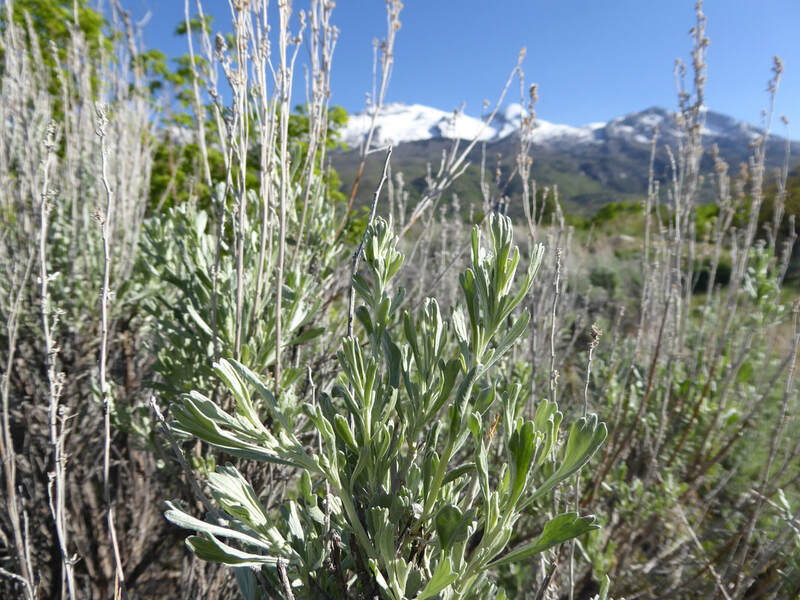 Is it RabbitBrush or is it SageBrush? 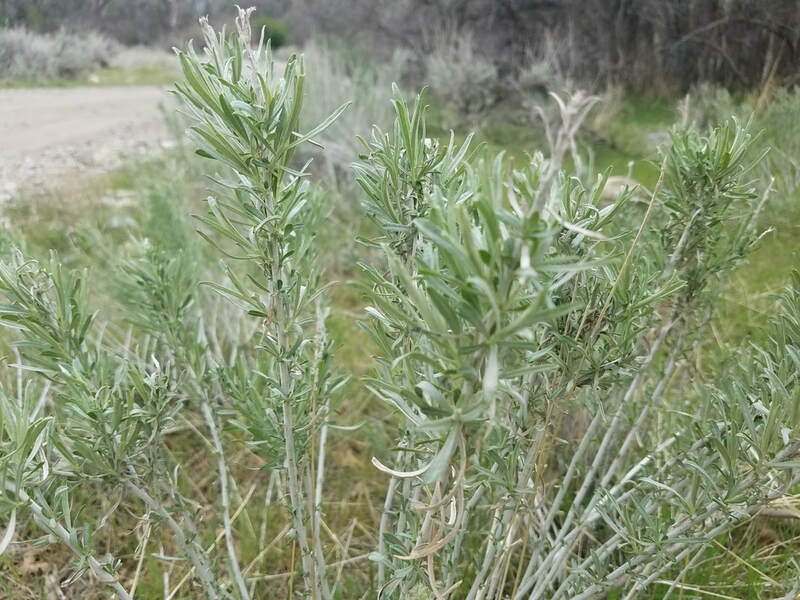 sage Brush or Rabbit Brush? 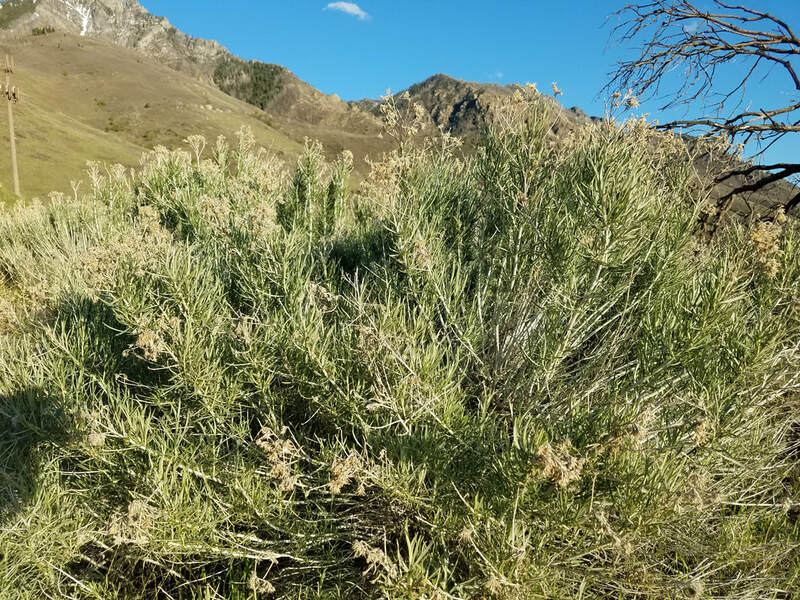 If you do an internet search for pictures of sagebrush in bloom, you will get lots of pictures of bright yellow rabbitbrush. 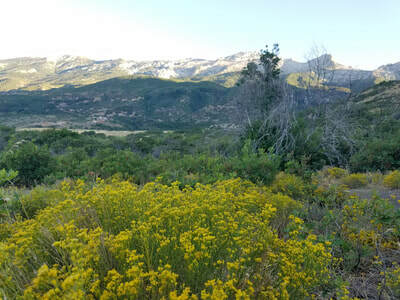 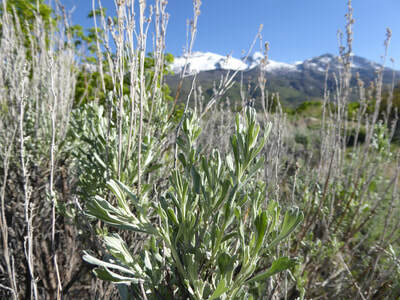 It is NOT sagebrush, but many people mistake it for the latter! In the spring and summer they look very similar, with their blue green leaves. But, as fall approaches it is very easy to tell the difference! 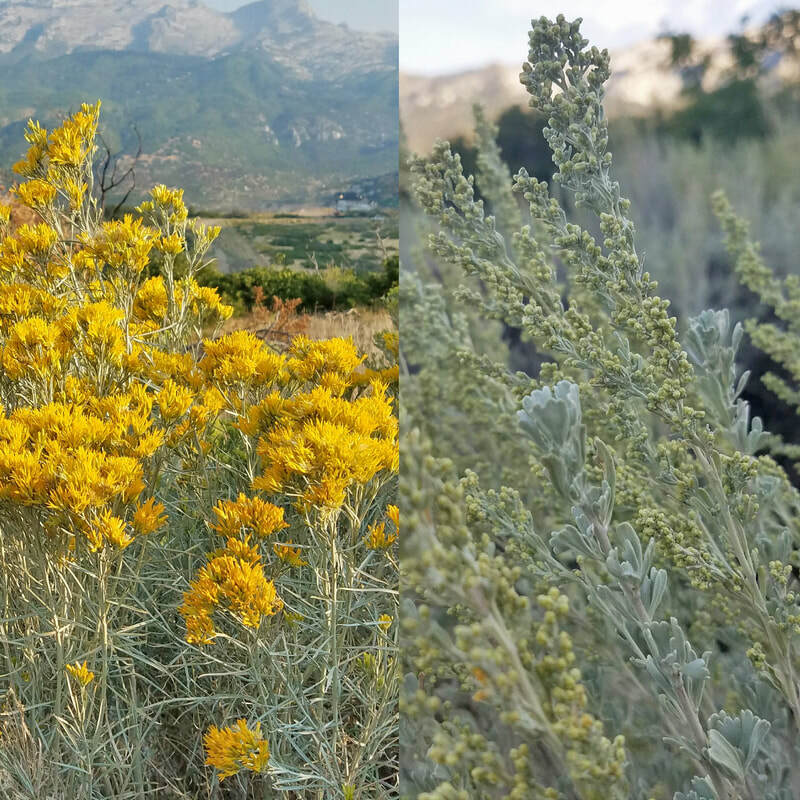 In September the rabbitbrush has bright yellow blooms. 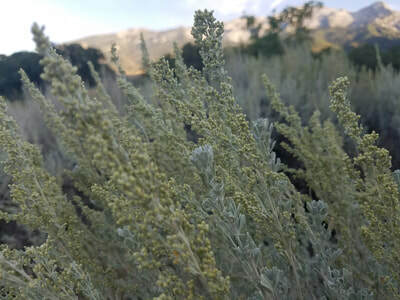 The sagebrush also develops small yellowish blooms, but the leaves are very different. 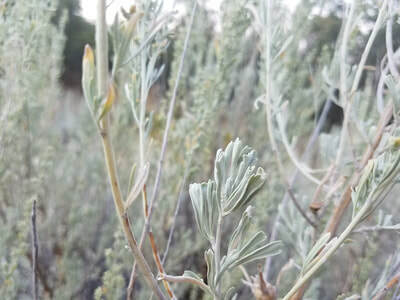 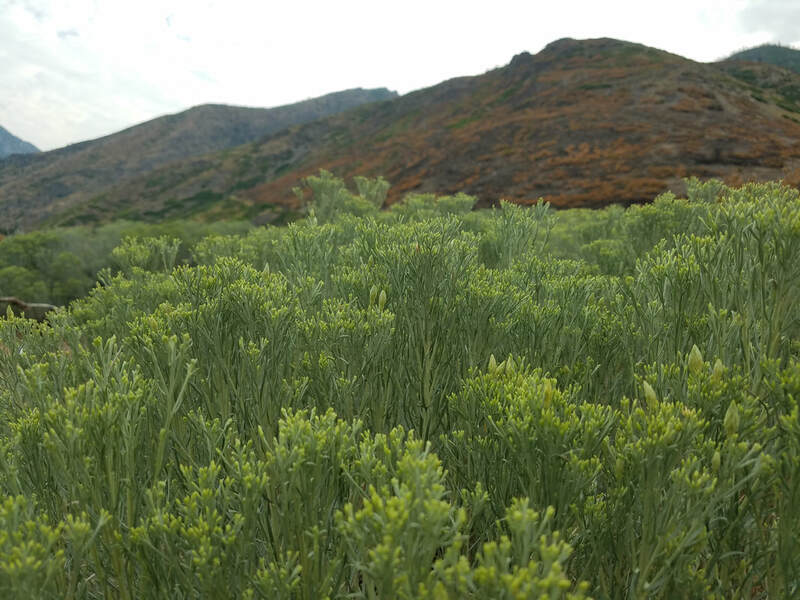 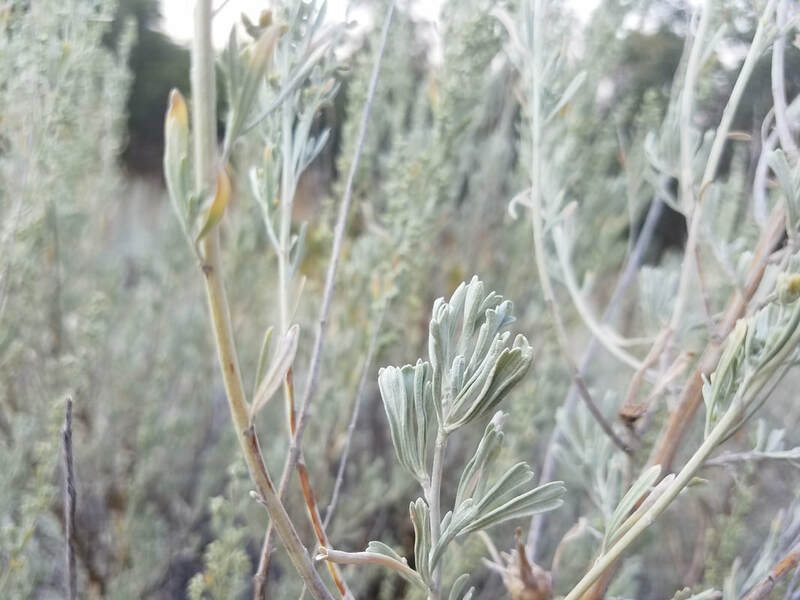 The sagebrush leaves end in three lobes, shaped like a trident, hence the scientific name Artemisia Tridentata. 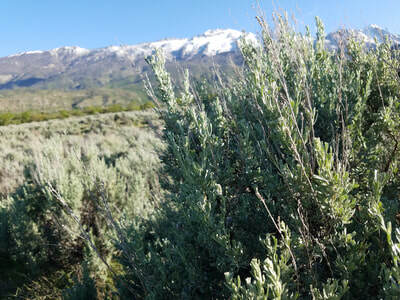 It is also called big sagebrush and Great Basin sagebrush. 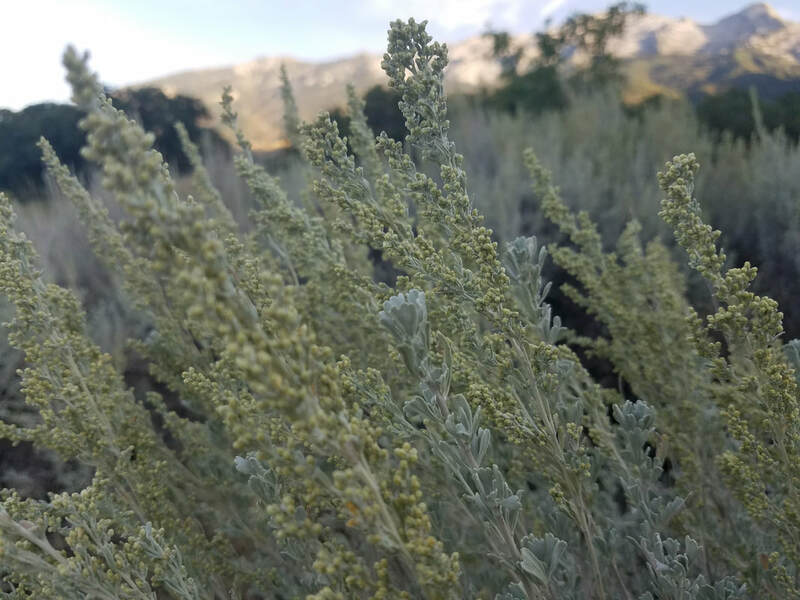 Big sagebrush was used as a herbal medicine by Native Americans throughout the Intermountain West, most notably as a smudging herb. It was also used for preventing infection in wounds, stopping internal bleeding, and treating headaches and colds.